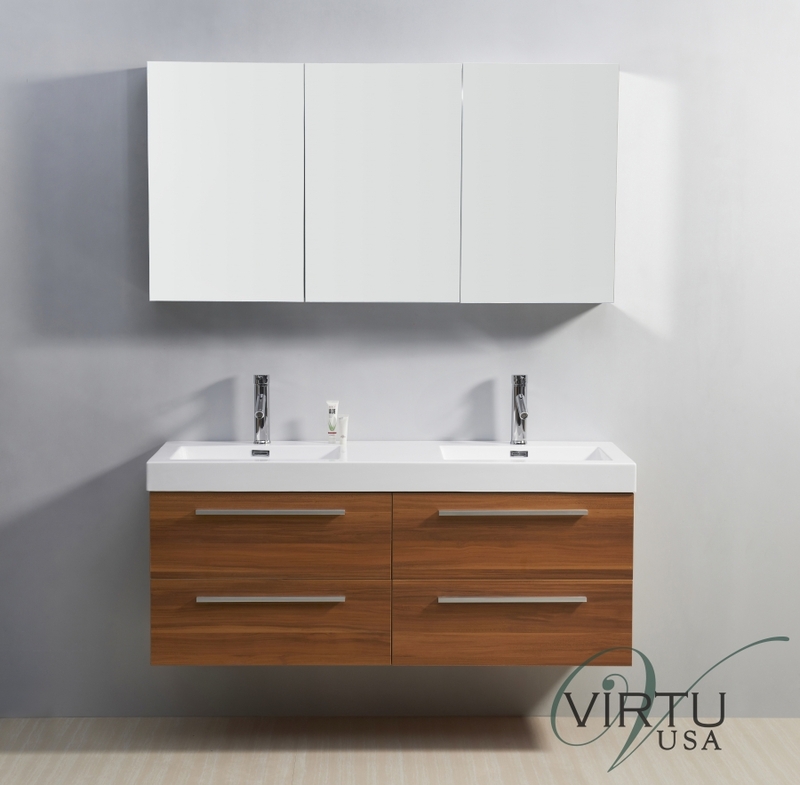 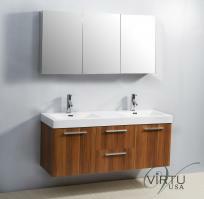 The natural wood tone of the finish on this wall mounted sink vanity is a nice complement to the modern style of the design. 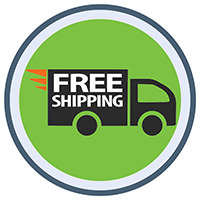 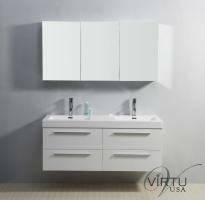 With four large drawers, this piece brings great storage space to the room. 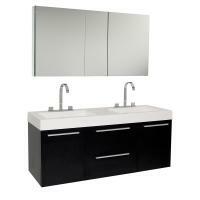 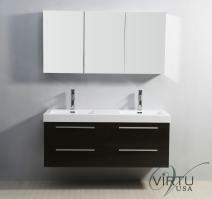 The double sinks and integrated counter top are created with a white poly-marble material.